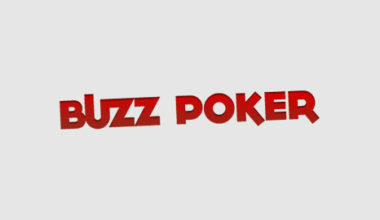 BuzzPoker Casino Review 2018 - Will You Get a Buzz From Playing Here? The BuzzPoker website has been around since the year of 2012, meaning that it has a few years of experience behind it. 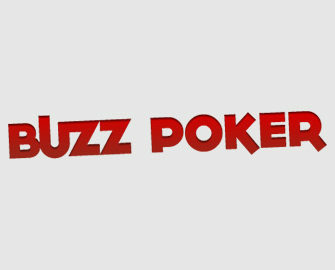 Of course, have the title of BuzzPoker means that it does have a big focus on poker games. However, it also offers up a great casino alongside as well. It holds a gambling licence which is given by the Curaçao eGaming company. This ensures that the site is adherent to all gaming laws and regulations. All of the games available are playable in instant play mode, so there’s no need to download any software to your desktop. And further to this, you can access the options via a mobile device, such as a smartphone or tablet. Whenever you visit the BuzzPoker website, you’ll be able to see a very nice design. It’s nothing overly flashy, but it really stands out, thanks to its simplicity. There is, of course, the logo of the casino in the top left corner, while below this there is the navigation bar menu. A banner exists below this featuring the welcome bonus and underneath this is the actual game lobby. Finally, at the very bottom of the lobby you can find links to four different areas. Don’t forget about the site’s social media links either, which can also be found at the top of the site. If BuzzPoker Casino sounds like the kind of location you’d like to play games at, then perhaps you’ll also find the available promotions to be interesting too. Unfortunately, the majority of these centre around the poker platform, so the casino doesn’t have as many options available. As a newcomer, you will be able to claim the welcome bonus. Of course, you will need to have gone through the sign up process before you can receive such. Once you have though, you simply need to make a deposit of at least €20 in the first instance. This will then see you receive a total of 200 freespins and these are usable on the Netent game, Lights. You just need to use the bonus code, FreeSpins when depositing. In fact, freespins are one of the prime focuses of the casino as far as promotions go. The site provides these on various different games on a monthly basis. Receiving them mainly requires you to deposit a specific amount at a certain time. Additional promotions are available to gamers who return on a regular enough basis. Make sure you keep a check on your email inbox to find special offers that are on hand for cashback and bonuses on top of deposits. Tournaments also take place at BuzzPoker on a regular enough basis, with huge winnings being available to you. Not only that, but there’s a VIP program on offer. As you increase up the rankings of the VIP program, the rewards that you can claim increase as well. The BuzzPoker casino is a great platform to play at, even though there are just two developers providing their games to the site. These exist in the form of Netent and Play’n Go. With this being the case, you’re able to access a wide choice of some of the best quality games. When you visit the casino site, you’ll find that there’s a sub-menu for the different game categories. This starts with the ‘Table Games’ option. There, you can play titles like European Roulette, Face Up 21, Double Draw Blackjack and Casino Stud Poker. For the moment players are not able to play any of these types of games in a live setting as a live casino is not available. The ‘Slots’ category is next in line, and its in this section that you’re able to play such games as Star Dust, Motorhead, Super Flip, Grim Muerto and Silent Run. Something else that is conspicuous by its absence is a section for jackpot games. Therefore, if you’re a fan of playing progressive jackpot games, you won’t be able to do so at BuzzPoker. You can, however, access the ‘Video Poker’ category, which has over 15 different titles on offer to you. These include titles like Double Joker Poker and Aces and Faces. Finally, there are three different offerings available in the ‘Other Games’ section, which are Scratch Ahoy!, Hole in One and Triple Chance Hi-Lo. Whenever you’re ready to start adding funds to your casino account, you can do so by utilising one of several payment methods. These begin with the often seen Visa and MasterCard credit and debit cards. In addition to this, if you’re a fan of using prepaid vouchers, you can use the Paysafecard offering. Finally, eWallets are also on offer to you as far as Skrill and NETeller go. Of course, if none of these appeal enough to you, you do have the chance to make use of a bank wire transfer. And when it comes to the time for you to make a withdrawal, most of these options can also be put into use. If you find that you need any assistance while playing the range of games on offer at BuzzPoker, there isn’t any FAQ section that can be checked out. Instead, you will need to speak to the customer support team. They are reachable solely via email though. First of all, there is a form that you can fill out first of all, or you can send a direct email to [email protected]. BuzzPoker may have more of a focus on poker games, but it’s also able to provide an intriguing enough casino alongside. It’s unfortunate that the customer support options are as few as they are, and that there aren’t any live casino or jackpot options. However, the design of the site and the range of other games on offer to you are great.